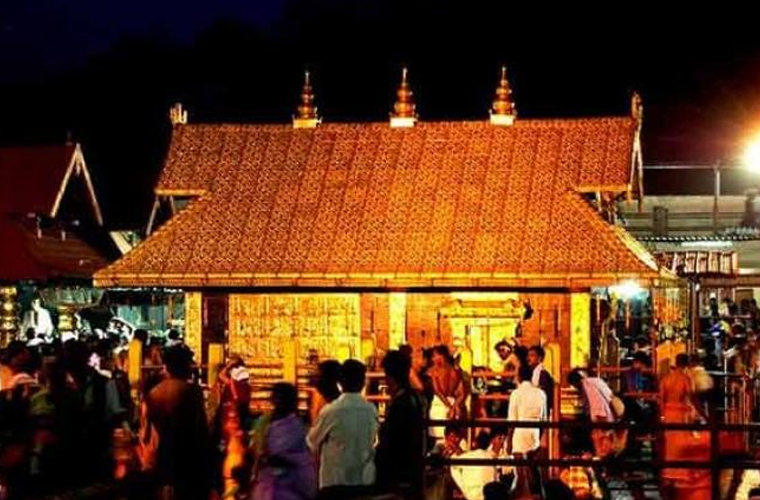 Kottayam: A 31-year-old woman from Andhra Pradesh who trekked the hill shrine of Sabarimala on Sunday morning was held by the police and sent back. She was held while walking through the ‘Nadapandhal’ (shed) near the temple. She had reached the shrine along with her husband and children from Khammam. The woman was held by the police as they were suspicious about her age. On inspecting her identity card the police found that she was only 31. She was sent back along with her relatives. However, police remained tight lipped on whether a case was to be registered against her. Talking to Covai Post , the sannidhanam police said that it is the responsibility of the police team comprising women cops to screen women devotees at Pamba by checking their identity cards. Women between 10 and 50 years are not allowed to visit the temple. The issue comes at a time when the matter is before a five-judge Constitution Bench questioning the fundamental right of women to pray at the place of their choice. It is being argued that women cannot be discriminated solely based “on the biological factor”.